Spa Lé La is a full-service spa in Studio City, California that offers complimentary childcare. 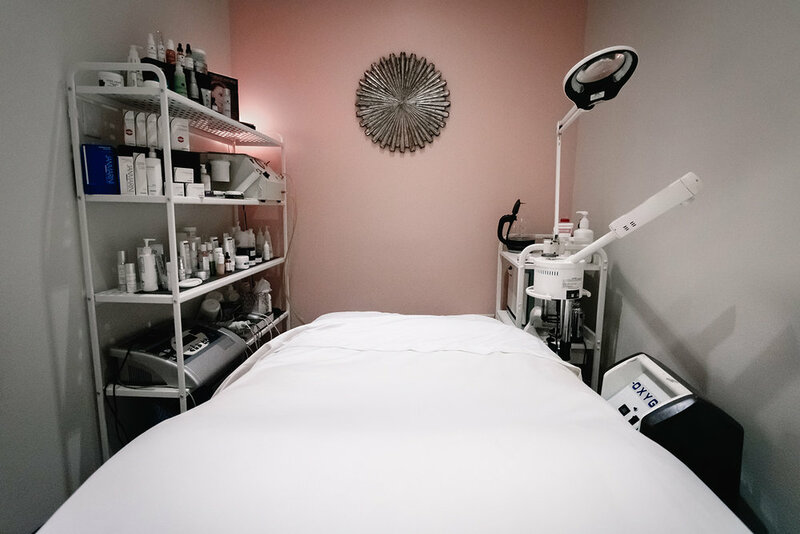 Located in Studio City, California, Spa Lé La offers high-quality spa services along with complimentary on-site childcare for parents who need some rest and relaxation. In addition to signature facials, massages and hair removal services, the Spa also offers unique Retreat Services, such as a nap room, private baths, infrared sauna, and more. Spa Lé La services include 30 minutes of peaceful lounge time in quiet areas before or after services, along with a common room where guests can mingle and relax prior to or after services. Parents with children between the ages of six months and nine years can enjoy their spa session while their kids are exposed to an array of fun classes and exciting events, including baby yoga, while under the care of certified nannies. Why You’ll Love It: We often hear that our clients love how we have thought of every detail, how clean and sanitary we are, as well as our super attentive and friendly staff. I have been in the industry since I was 17. For 31 years I have learned what works and what people expect. I have taken all my experience and put it into this spa. We also specialize in prenatal and postpartum care. Guests can add a relaxing bath to their services. Key Features: Private napping suite with luxurious linens and plush pillows; soaking tub; infrared sauna; state-of-the-art, zero gravity, three-dimensional massage throne; Quiet Room pods with free wi-fi and noise-canceling headphones; common space for guests to mingle and hang out before services; playroom with full schedule of daily classes and events for kids including baby yoga; a team of certified and CPR-trained nannies. Bonus: Every service at Spa Lé La includes complimentary childcare. Insider’s Tip: It's important to take care of yourself so you can be the best you. 30 minutes in your day spent on yourself is key. Do it! Snacks Served: We serve organic tea or coffee, organic milk, almond and coconut cream. If you would like to have a glass of wine, we serve white, red and champagne. We also use the best water for drinking and ice, Reverse Osmosis. Unique Treatment: We also specialize in prenatal and postpartum services. We work with women in the early stages of pregnancy all the way through. Our most unique treatment is that final massage before giving birth that helps to stimulate labor. We focus on the pressure points that stimulate labor and also lower back work to help open the hips so the baby can come down. We relax the mama and prepare her for birth. After birth we continue working with both parents in postpartum care. We have a menu dedicated to both. Then once their baby is six months old, we have special nannies that our client has gotten to know through her whole pregnancy watch the babies. The clients feel comfortable with our nannies because they know them, and they are happy to hand over their little ones while they go enjoy their spa services. Trained and certified nannies practice “Innovative Creative Play” to keep little ones highly engaged. Splurge Treatment: A luxurious bath before or after any treatment is heavenly. We have a gorgeous tub room. It immediately relaxes you. Insider’s Favorite: We give incredible facials. As an esthetician, facials are my specialty. I worked in dermatology for eight years with acne, pigmentation and aging patients. I am also the owner of the Facial Bungalow, which has been in business for 15 years. All of our estheticians are highly trained. I continue to train them and receive ongoing training myself. I continue to observe the best dermatologists and plastic surgeons in Los Angeles in order to learn what is happening today to better refer our clients. With all of my massage background, I created an incredible signature massage at our spa. I have hired only the best massage therapists to perform this signature massage. Our clients come out of the room saying, "That’s the best massage I have ever had!" With amazing massage therapists performing our wonderful massage, we have repeat clients almost every time. The Spa has a common space where guests can meet, mingle and relax prior to their services. Featured Products: We carry only our lines at the spa. I have created lines that are natural and safe, such as Trina Renea Skincare, which is an advanced line that I have been creating and constantly perfecting since 2008. Our Spa scent is incredible and we have created a candle, bath oil, diffuser oil, roll-on parfum, and bath salts with our signature scent. We also have lotions, cleansers, and other spa products. We have a line specifically designed for pregnant moms, and they know when purchasing they don't have to ask if they are safe. We have a baby line that is super luxurious and wonderful for the little ones.